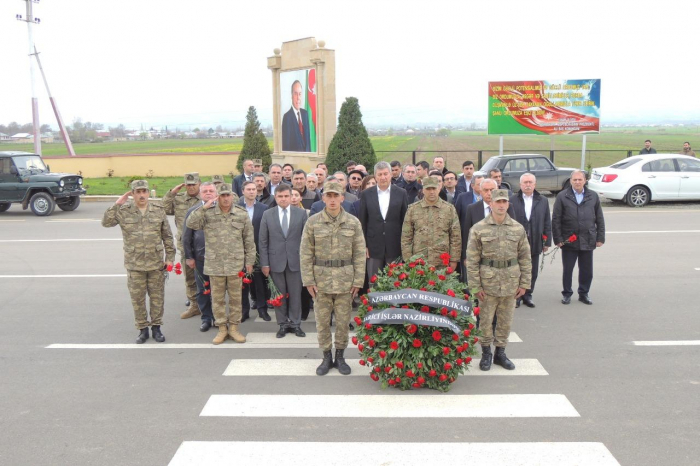 The representatives of the Azerbaijani Foreign Ministry’s leadership visited the country’s Jojug Marjanli village, Trend reports referring to the Azerbaijani Foreign Ministry. The main purpose is to visit the Azerbaijani territories liberated from Armenia’s occupation during the anniversary of the April 2016 battles, meet with the soldiers and officers, as well as reviewed land improvement carried out in the village and the level of security ensured in the village. A delegation consisting of ambassadors and heads of structural departments of the Azerbaijani Foreign Ministry, headed by Deputy Foreign Ministers Ramiz Hasanov and Nadir Huseynov visited the village. During the visit, a meeting with residents of the village was held with the participation of representatives of the Executive Power of Azerbaijan’s Jabrayil district. The delegation also visited the Jojug Marjanli mosque.